Well I ask you, if an author wants to promote a book that they have written and it never gets read, is it a book? One can argue that it is physically (or digitally) written; hence the book exists and thus I should be able to promote my book. However, if you ask the author who toiled many a day and night, doing research, planning a plot or sequence, creating characters and pouring his or her heart and passion into a work that SCREAMS to deliver a message… he or she would probably say, “No.” It can seem like that and often one loses hope, because every effort to promote a book has brought little result. What if it’s not that your effort to promote a book has no hope, but rather that you’ve read too many “so called online book marketing experts” regurgitating the same old methods that worked 25 years ago, but not today? You’ve tried it all, book signings (if you can get anyone to let you do one), blogging (which few people read because they did not know you), social media (where over 370,000 published authors are trying to promote a book and are vying for the attention and wallet of the same people you are), to sending out press releases like they were charity slips to the local pantry, but getting no bites (no pun intended). So what else is there to help you to promote a book? A book publicist! Oh, I know, you’re thinking that you already did that with your publisher. Well, not to sound like a know-it-all, but there is a difference between a book publiSHER and a book publiCIST. A publisher’s job is to print books. While some publishers have outlets for selling books to those who want to buy them (book stores for example), how will the book store know to order the book if it knows nothing about it or does not perceive that there is a demand for it? This is not the way to promote a book; that is if you want the book to be read. So, what is current you ask? A great question! A good book publicist will get you on talk radio, TV news and shows, in newspapers, magazines and online publications to help you to properly promote a book. You see, people are tired of commercials and they avoid them like a bad rash. Trying to promote a book on a commercial of any sort can be a big dead end street. They TiVO or DVR their shows, use pop-up blockers in their browsers, skim radio stations and ignore billboards… unless they know the product, company or author! You see, with SO MUCH advertising happening with people trying to promote a book and thousands of other products and services, people filter out the noise. However, they selectively CHOOSE what they WILL pay attention to. What helps this filtering process? Public relations, which a good book publicist engages in with they are going to promote a book! By being on radio and TV, you are no longer part of the dreaded commercials trying to promote a book and the thousands of other products and services out there. You are in between the commercials, where people are paying attention to their favorite shows. When that happens, you get to engage the audience, deliver your message and give them a chance to get to know you. After all, while the book is what you want to sell as you want to promote a book, nevertheless, you are the product! However, that’s a topic for another article. Now, you are probably thinking, “That’s got to be expensive! And, what if they don’t get me the exposure I want and need to promote a book? I will lose all that money.” You know you’re thinking it, so let’s get it on the table. As a wise person once said (I cannot remember who), “Bad advertising is expensive; good advertising cost nothing.” The implied message is that if it’s done badly and does not work (which happens more often than not) then the money was wasted. However, good advertising costs nothing because it will generate sales and pay for itself. Good advertising will allow you to promote a book or for that matter any product or service that you have to offer. While PR (public relations) is not advertising (different art, but needed more than advertising—read The Fall of Advertising and the Rise of PR by Al Ries) the same concept applies. The exposure and credibility that PR delivers will pay dividends with the public. But then that brings up the question, “How do I know if it’s going to be GOOD PR?” You really don’t, until it’s been done. However, you DO have the ability to make sure you DON’T lose your investment. How so? Use a pay-for-performance PR agency to promote a book. A pay-for-performance PR agency charges only for the PR it delivers; hence if you don’t get on radio or TV as you try to promote a book, you don’t pay for it. Most agencies like this will have you escrow the money for a guaranteed amount of interviews and as they deliver, they get paid per interview. If they don’t deliver all of them, you get the remainder back. While this sounds fair (and it is) not all agencies that claim to be able to promote a book are created equal. So make sure that you do your homework. See how long they have been in business, get testimonials, Google them to see what you find… do your due diligence. When you find the right agency and book publicist, make the choice to make sure that you get your message delivered. After all, you wrote the book. Don’t let your efforts to promote a book be just your thoughts falling down in a forest of paper; make sure others are around to hear your message loud and clear. It’s an amazing thing how many people do not understand the POWER of PR to advertise book, nor how it works. Often I get calls from entrepreneurs, corporations, authors and individuals who believe that if one pays enough money, they can get on any TV or talk radio show they want to promote a book. Well, you may have the money, but money doesn’t buy access to the news to advertise book s.
Ask yourself, “If anyone could buy access to the news, which is supposed to be an unbiased aggregator of information, would one call it news or advertising?” Now, sure, there are some shows that are strictly paid advertising forums and thus an easy to advertise book s, but the listeners of those show know this and they take what they hear with a grain of salt. They know you’re trying to sell them something. Once again, that is not PR; that is advertising to promote a book. No wonder press releases and requests from many companies, authors, etc, go unheeded by the media, because they do not exist to help you sell anything. They exist to provide valuable information to their public. So if you lead with what seems like all the talking points and sales hot buttons for your company, you won’t get anywhere. So how do you get on the news? You have to know what’s going on IN the news! Now that may not make a whole lot of sense at first read, but if you understand the dynamics of PR, staying on top of the news is solid gold. How so? Let’s take a look. PR, or public relations, is about getting your public aware of your message and you, and coming to trust you so that when they need to make a buying decision on whatever you have to offer, hopefully they will choose you as you advertise book s.
Think about it as a book promoter you are trying to promote a book. Have you ever listened to your favorite talk radio show or TV show and heard a guest speak intelligently on matters that were important to you? As a matter of fact, they did such a good job that they made an impression on you. Lets say that their services would actually help you to advertise book s. Even though they could help you as a book promoter, you may or may not have gone out and purchased their product or service right away. You may not have even gone to their website right away. However, because they were presented as an expert by a host you know and trust, you probably noted that. Suddenly, you see him or her again on another show, hear him or her on the radio, read an article where he or she is quoted in a newspaper, magazine or online publication; now you are starting to trust them more and are curious about his or her book, product or service. You think, “It looks like these people can help me to advertise book s”, so you may go to their web site and do some research. Three months later, as a book promoter you need what they have to offer, so you call or send an e-mail message requesting information. Now, even though you are a book promoter, trying to advertise book s and the company provides services to help you promote a book, what are the chances that you would have requested information from someone you didn’t know and did not trust when it came time to make a buying decision? Probably zero! That is the function of PR. But, how do you get on the news if the news is not interested in your book, product or service? An even better question! The media is always looking for experts whom they can quote, interview and/or have as guest commentators on news and talk shows. But no matter how badly you want to promote a book, if you’re not aware of what is happening on the news, how are you going to contribute? If you’re not aware of what’s happening in the news, how will you even KNOW to pitch yourself as a book promoter to a host or producer when an opportunity arises where you can be the “go to” expert on how to promote a book? 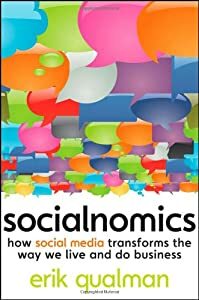 From many years of experience in the PR industry, I can attest that if you position yourself as an expert who wrote a book and not as an author or inventor or CEO, your chances for landing that media appearance to promote a book versus promoting a business or a product, increases astronomically. So read your daily, go to your favorite news web site, create some RSS (really simple syndication) feeds by other book promoter s that will inform you about events on the news that you can speak to, and stay informed. If you want to promote a book you need to remember; knowledge is not power, APPLIED knowledge is power. Learn this valuable lesson and your efforts as a book promoter trying to advertise book s will put you in the green!